Use this to make curls last longer. Scrunch the cream into towel-dried hair and let it dry naturally for best results. Keep the frizziness in control with this nourishing oil product. 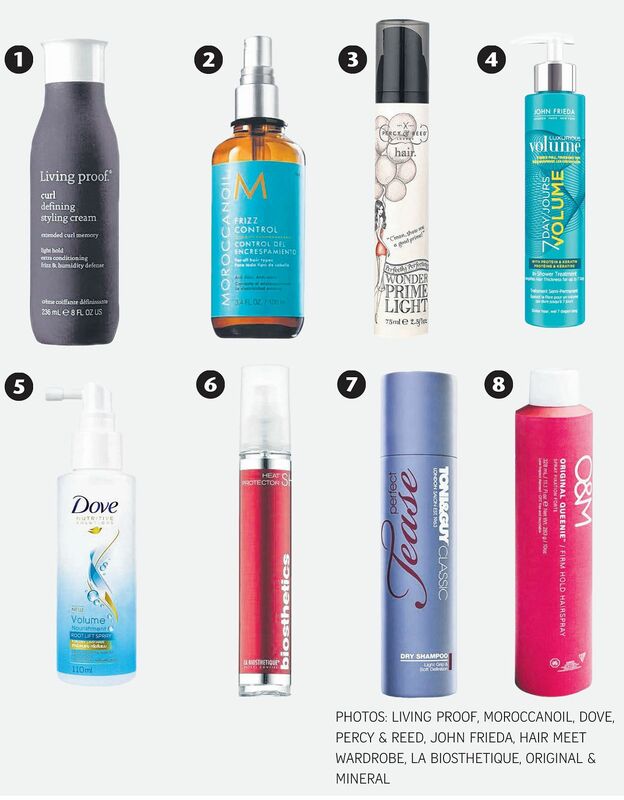 Spray a few pumps onto clean, damp hair, then style as usual. Detangles, nourishes, smoothens and preps hair for styling. Spritz this lightweight hair primer on clean, towel-dried hair. This promises to leave hair full and voluminous, even after a couple of washes. Apply this on clean hair. Leave on for three to five minutes and rinse. Blow-dry hair for best results. Treats the locks and scalp while adding volume to the hair roots. Smoothens hair while providing protection from heated styling tools. Spritz onto towel-dried hair before a blow-dry. Used backstage at London Fashion Week to keep the models' hair clean as well as add volume and texture. A firm-hold hairspray that still lets users style hair the way they want. Contains the fruit extracts of lilly pilly and quandong to nourish hair.